Oh, what a weekend! It wasn’t the oppressive heatwave or the thunderstorms rumbling through the Midwest that I will remember most though. For I was cool and happy, downstairs in my ‘Paper Garden’ studio all weekend, in the company of papercrafters from across the globe. We were participating in the 5th annual Papertrey Ink Stamp-a-Faire, created by the talented PTI design team. 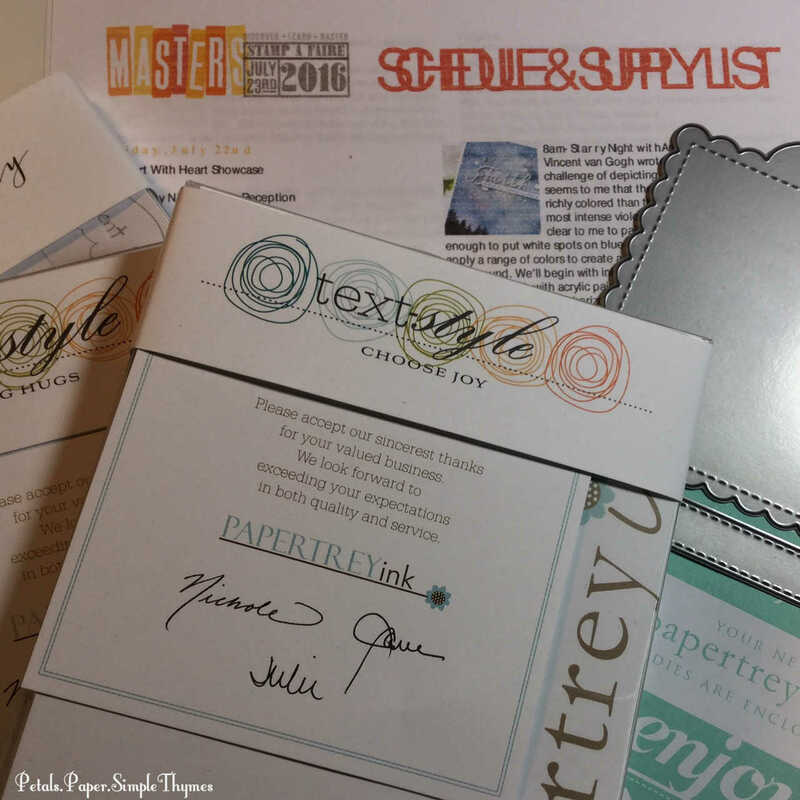 It felt truly exhilarating to share creative time with so many amazing papercrafters! On Friday night, I gathered some favorite Papertrey Ink stamps and dies so I would be ready to create very early on Saturday morning. Inspiration for this event came from a wide variety of Master artists. Every two hours throughout the day, a PTI design team member would share a bit of art history and a card making project based on the work of a Master. 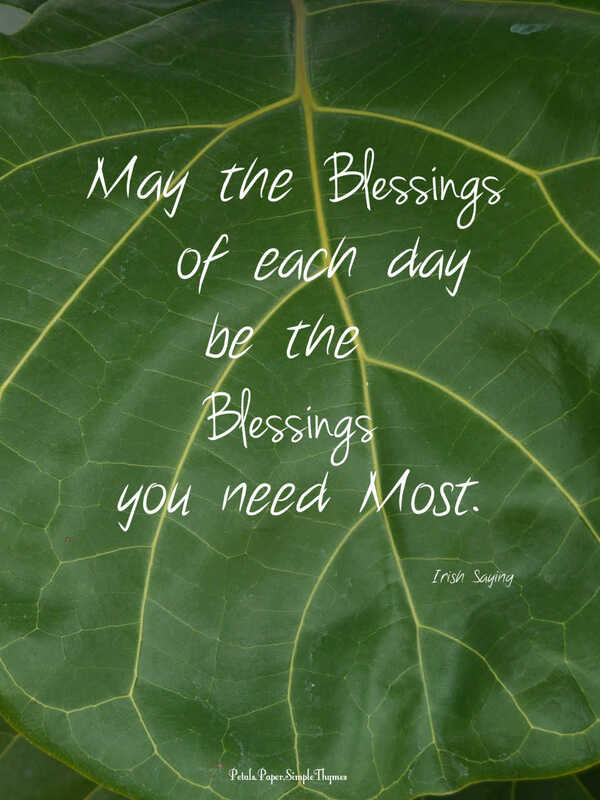 It was sure to be a day of learning and growing… and creating way beyond my comfort zone! Let’s go downstairs to the ‘Paper Garden’… to see what blossomed on my craft table and in my heart over the weekend! Inspired by Vincent van Gogh’s beautiful paintings of the night sky, Amy Sheffer led us through an amazing process with paper and ink. I used seven different ink colors to create my nighttime sky. I was fascinated as I watched my inks blend! I gained new insights as I blended dye and distress inks on the same background. Spritzing the background with water created subtle, distant stars and flicking white, acrylic paint added some brighter stars. Next I painted a tree-lined horizon with black ink and added a sentiment over a loose nest of white thread. In a bit of pure magic, the song ‘Vincent’ (by Don McClean) began playing on the radio, while I worked! ♫ Starry, starry night… ♬ How did that happen? Serendipity, for sure! Working on the starry, night sky also brought back such wonderful memories of visiting the Van Gogh Museum, in Amsterdam. Feeling: Magical! I will never look at a night sky in quite the same way again! Inspired by trendy, gold embossed stationery and monograms, Danielle Flanders shared her faux gold gilding technique. It was the perfect way to add a bit of sparkle to the morning! I used metallic, gold acrylic paint to add a bit of shine to several bookmarks, hoping that family and friends will feel the a bit of sparkle when they open their mail! The gold paint dried very quickly, didn’t warp the paper, and is really shiny. Next I created a monogrammed tag. 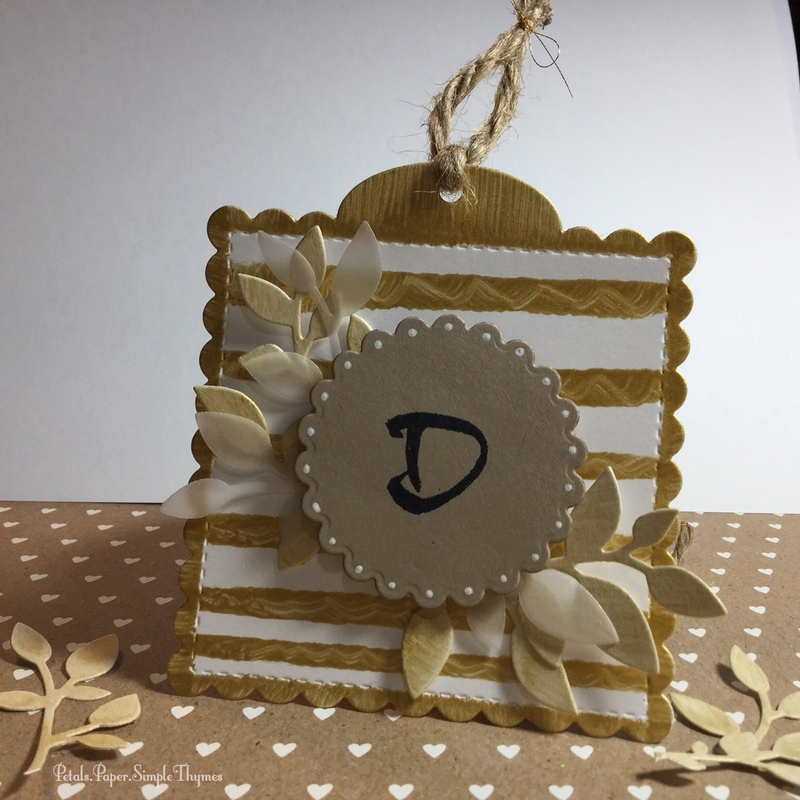 It was fun to combine the simple look of kraft cardstock with a gilded, scalloped tag shape! I’ve never used acrylic paint on my cards before (even though bottles of acrylic paint sit on a shelf in the ‘Paper Garden’). So, this simple project opened a whole new world of possibilities for me! Feeling: Sparkly! Now I’m hooked on adding gilded gold touches! Inspired by Monet’s beautiful florals, Melissa Phillips shared her white embossing powder technique to achieve a soft, romantic look. Dreamy thoughts of Monet’s garden made me smile. It was fun to watercolor with layers of dye ink over a heat embossed image. Feeling: Joie de vivre! France is always close to my heart! I dream of visiting Monet’s gardens one day! 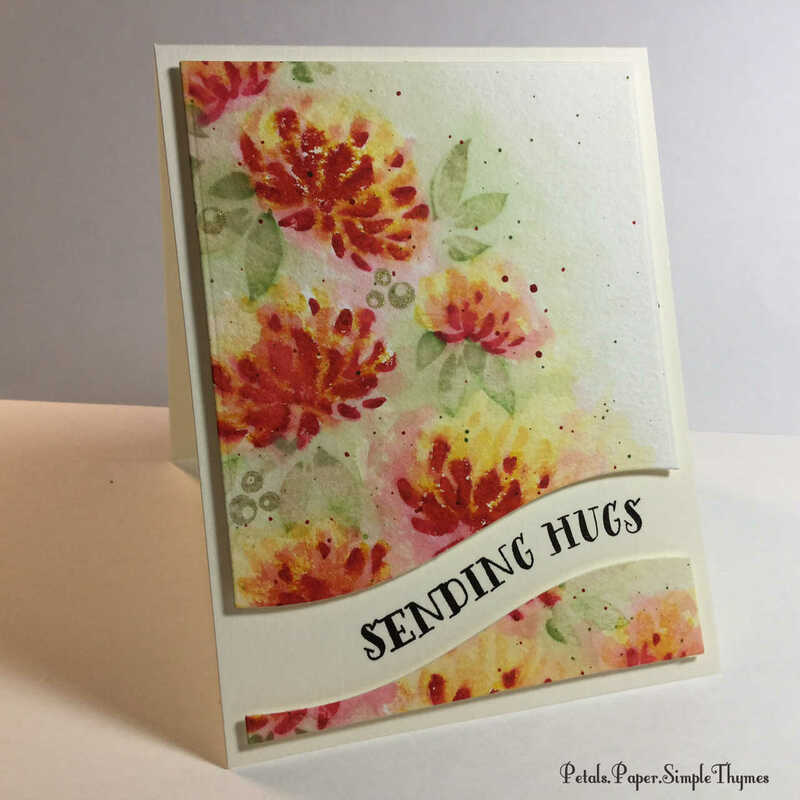 Inspired by the Pointillism technique of painting by applying tiny, individual dots of color, Heather Nichols shared ways of adding dots of color to stamped images. 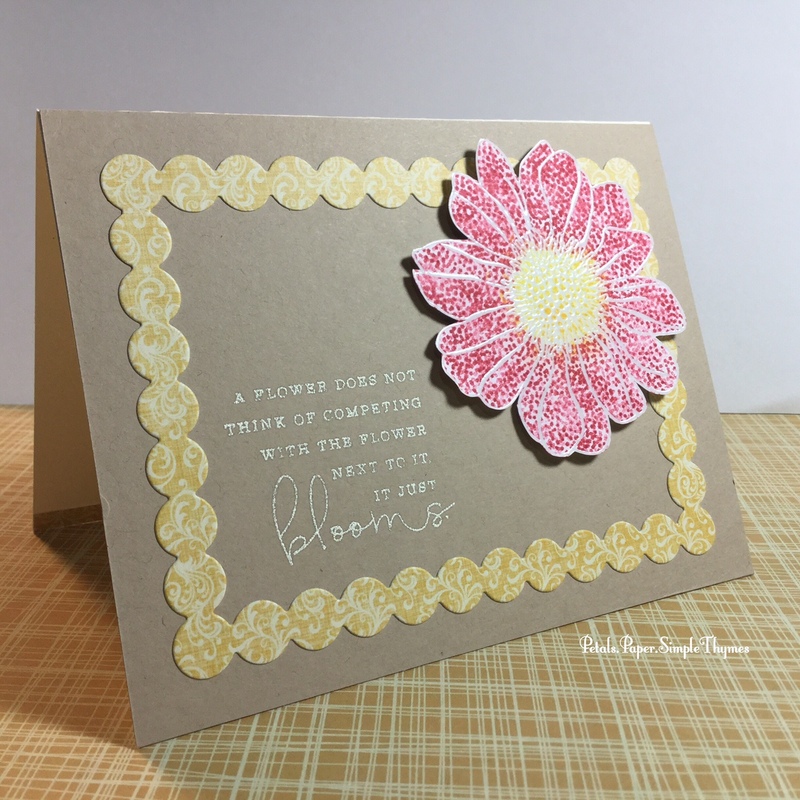 I heat embossed my floral image to help me stay within the lines. 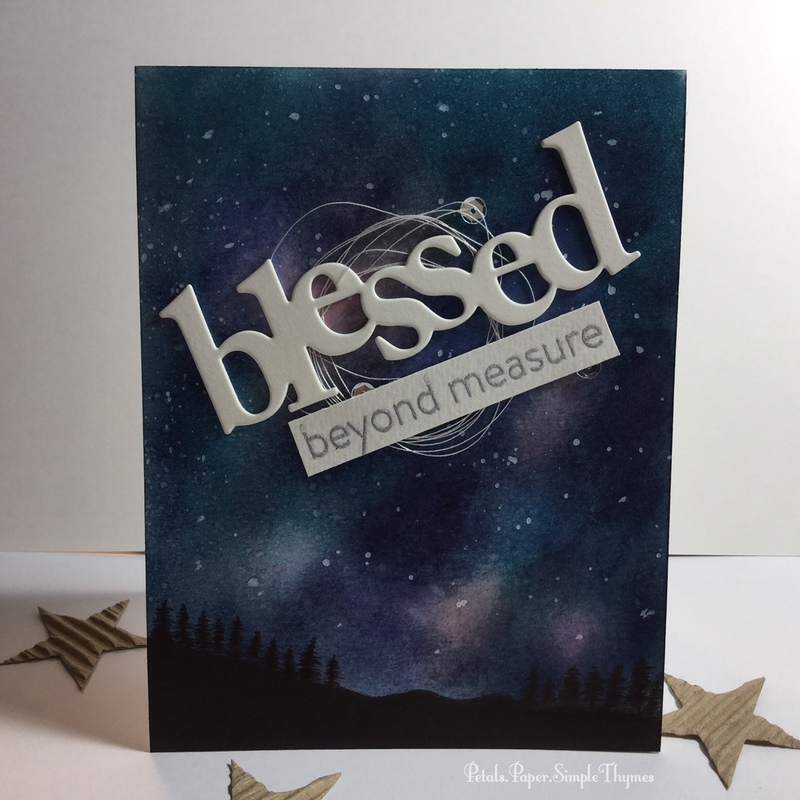 This was a very relaxing way of stamping that gave the stamped image a whole, new look! Feeling: So relaxed! Stamping tiny dots in the Pointillism style felt like a meditation! Inspired by the watercolor Masters, Kay Miller shared her lovely, watercolor techniques. 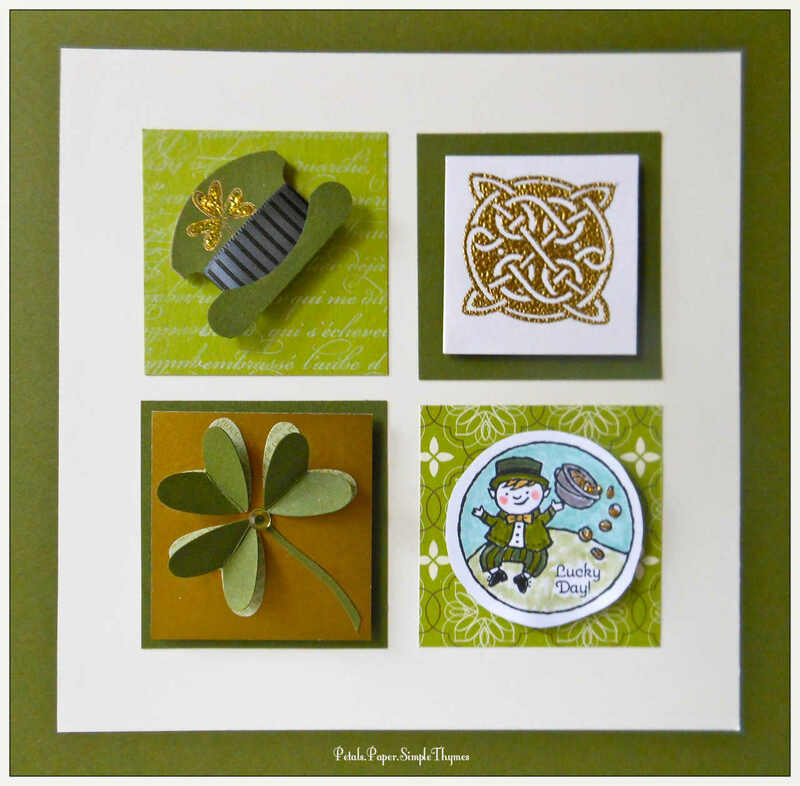 She is a natural and helped me discover exciting ways to use older stamps in fresh, new ways. Such wonderful inspiration for me!! I will be using Kay’s techniques from now on! I created two cards, using different color palettes. Feeling: Thrilled! 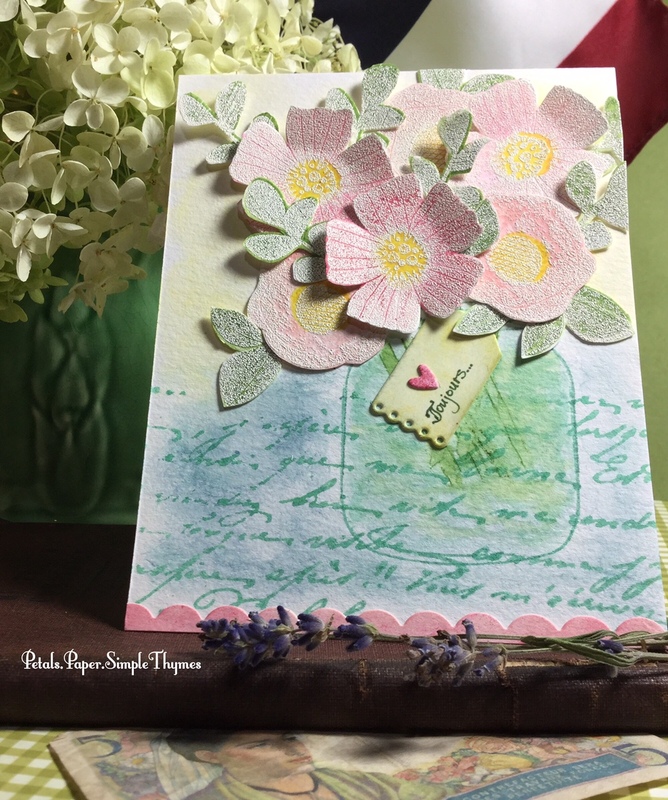 I just love discovering a new way to use an old, favorite stamp set! This was my most difficult challenge of all! In fact, it felt like a Math test, as I measured, masked, and mumbled to myself for several hours. Feeling: Relieved! Simple designs can often take the most time! I still have one more Challenge, inspired by Jackson Pollock‘s drips and splatters of paint, to complete. 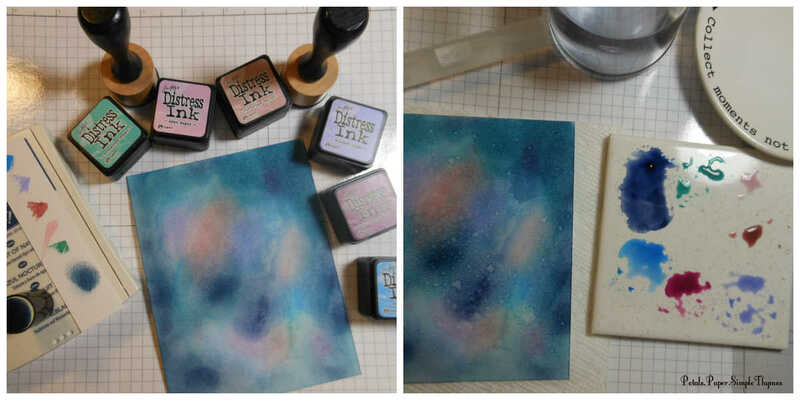 Lizzie Jones shared great techniques for creating different kinds of spatters and drips. I can’t wait to try this messy technique outside in the garden, on a sunny day. It’s sure to be a fun one! What an incredible weekend of learning and growing! I’m so grateful for the talents of the entire Papertrey Ink design team. 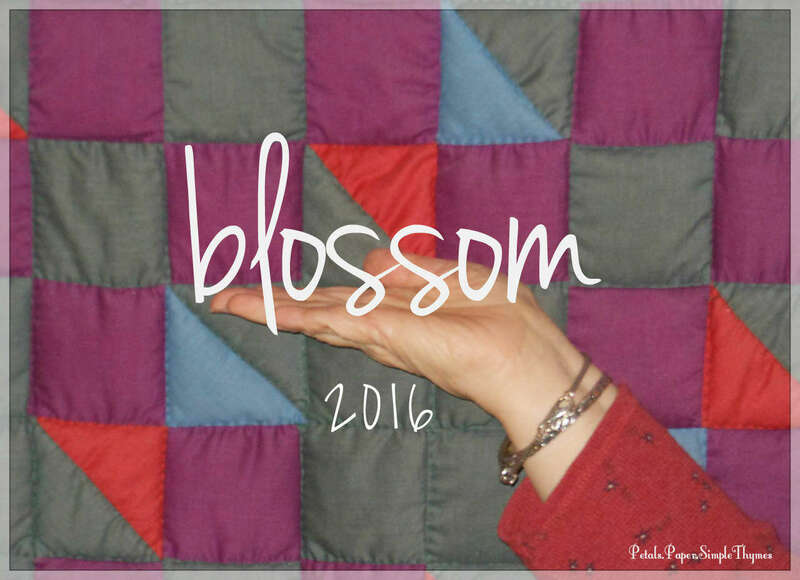 It was so exciting to blossom using their wonderful seeds of inspiration during Stamp-a-Faire 2016… and I’m already looking forward to next year’s event! 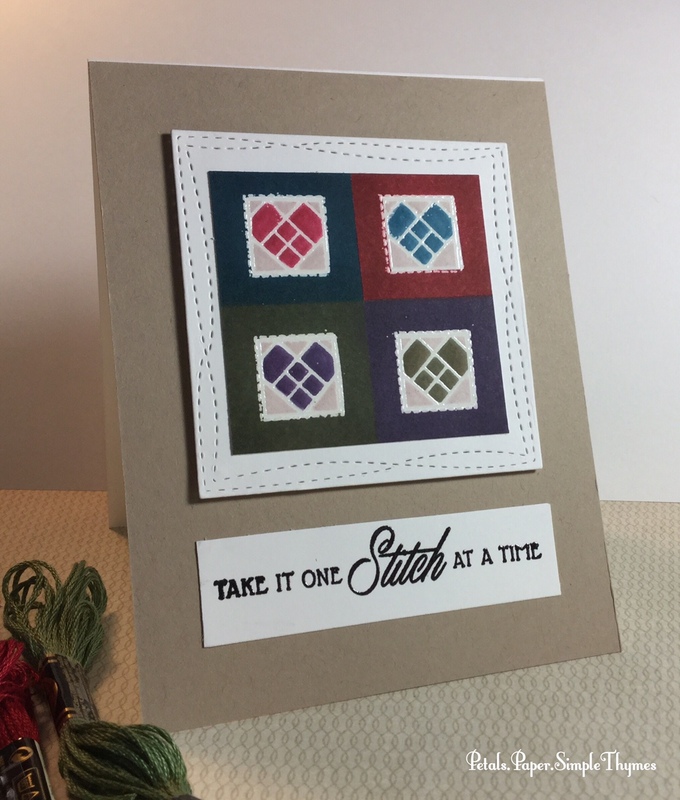 the hearts of both the cardmakers and those who receive our handmade kindness! P.S. Thanks so much for stopping to visit today! What creative things have you been working lately? ‘Twas a lucky morn here! 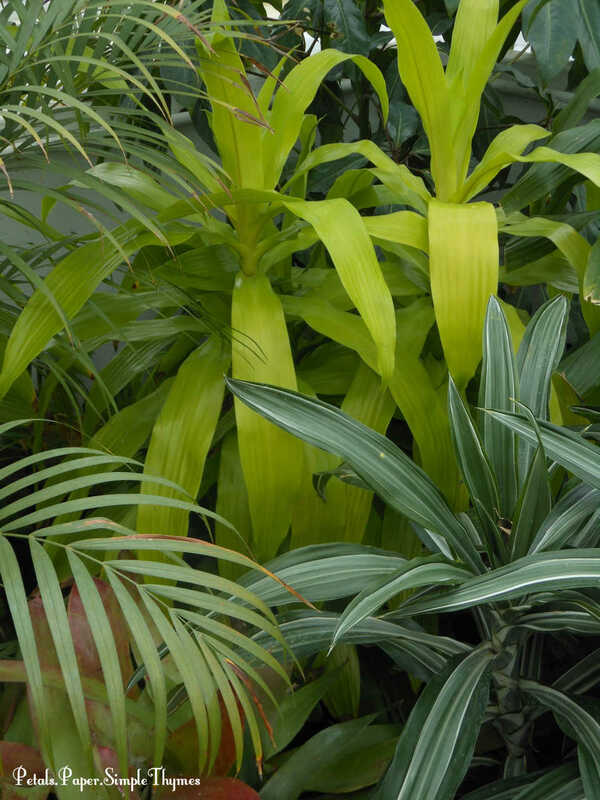 observing the quick growth of foliage, in so many shades of green. 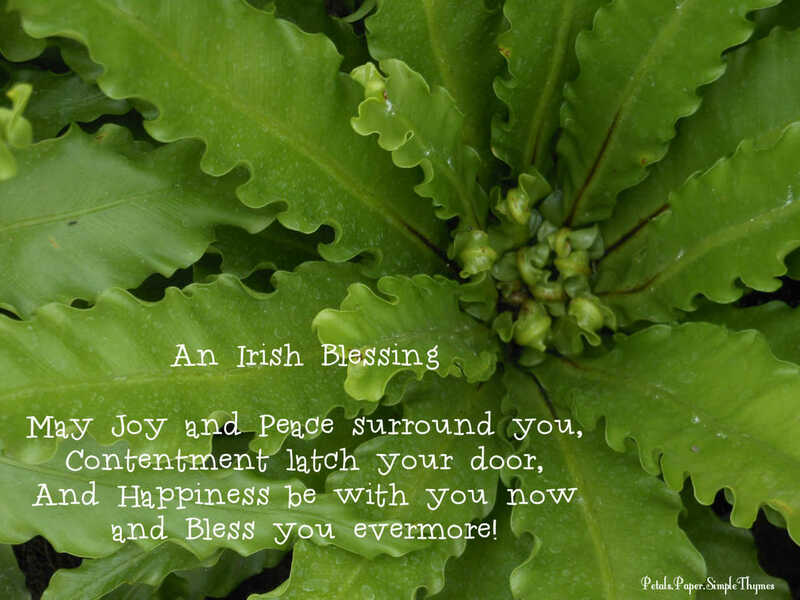 I have been checking the garden each day for a week or so. Today was different ~ a wee bit o’ green and purple! Oh, my heart! The first Springtime blossoms were open! 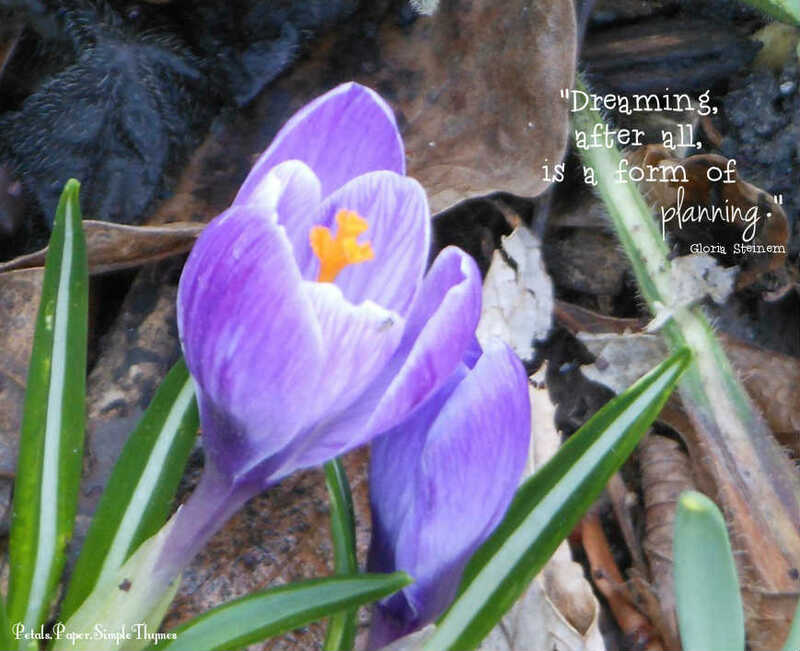 and crocuses were just unfurling their petals. Daffodils will add sunshine to the garden any day now. here in USDA Zone 5. Snowflakes are predicted this weekend. 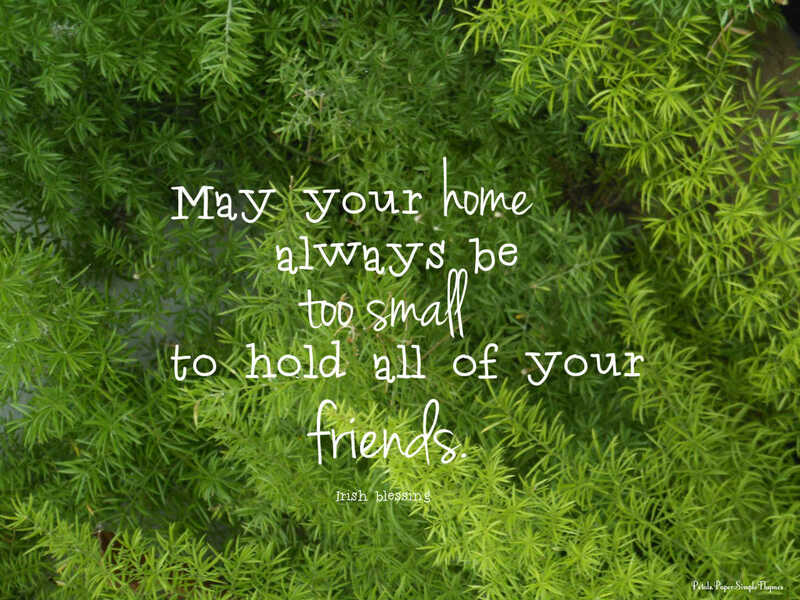 for all of the special people in my life. 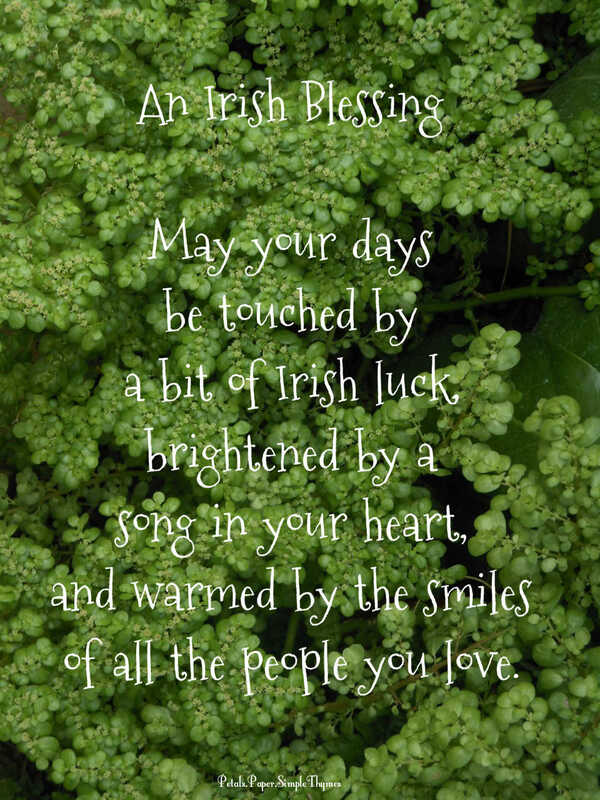 Wishing you lucky days, too! P.S. 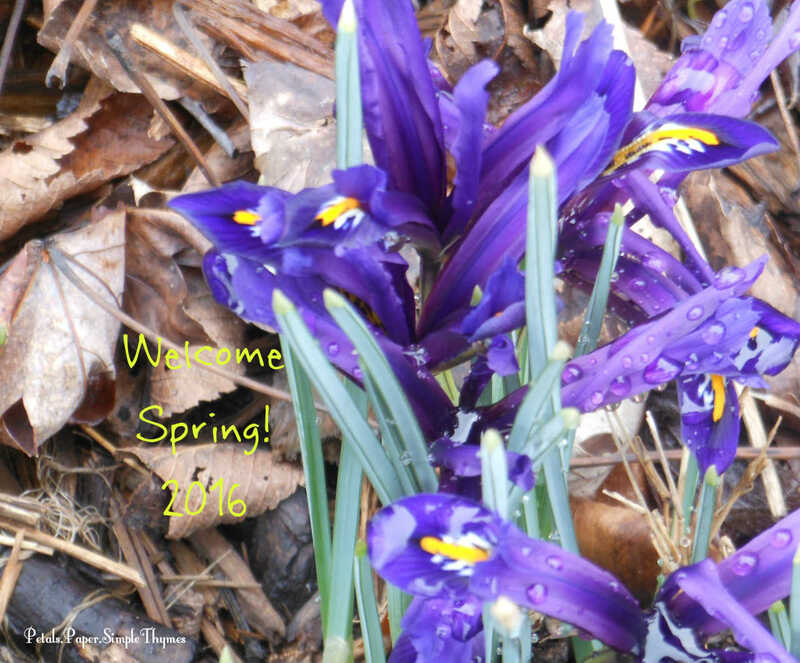 What’s blooming in your neighborhood and your garden this week? 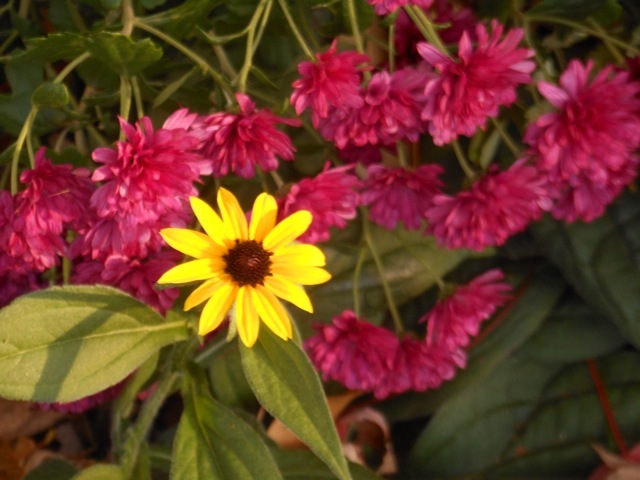 One last Rudbeckia blossom shines with Chrysanthemum blooms in our Autumn garden. 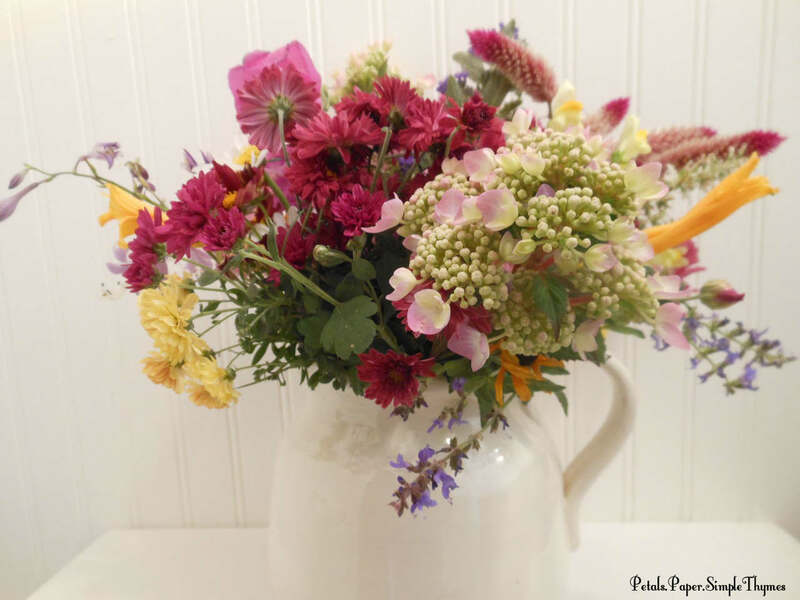 Summer’s last hurrah was a delightful gift for Midwestern gardeners! We had three glorious days of warm sunshine and blue skies to finish putting our gardens to bed earlier this week. Squirrels were scampering around in the yard getting ready for the cold weather, while I scampered about in the garden! 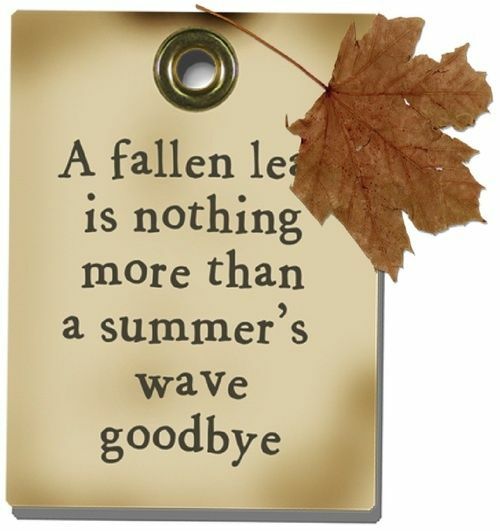 Our trees are almost bare now and the leaves have been raked and mulched. Autumn’s bright colors are fading very quickly now. Many gardeners enjoy cleaning up their flower beds in Autumn. However, I always leave the stems and seed heads standing through the winter months. 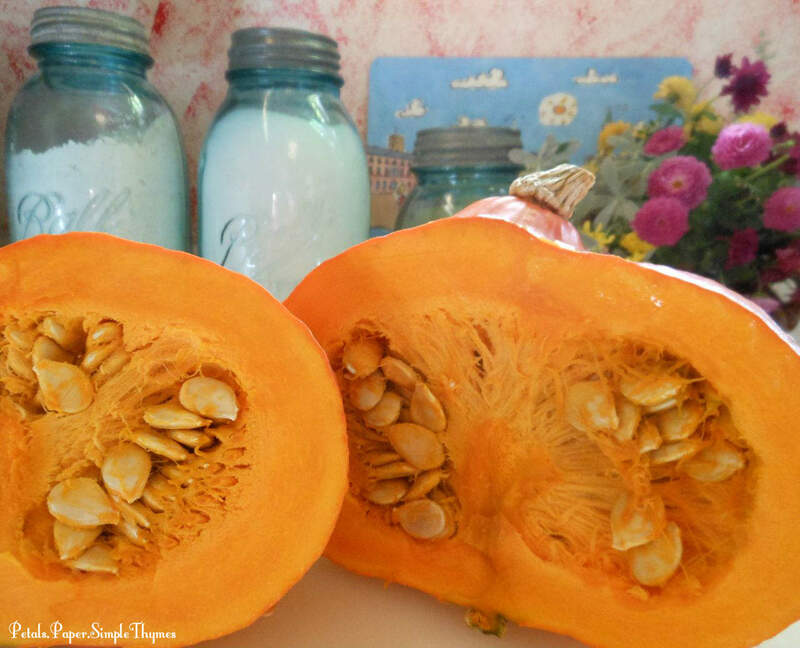 The birds can take advantage of the seeds while other food sources are buried under the winter snow. It brings me such pleasure to enjoy my ‘shadow garden’ all winter long, when the tall stems and dried seed heads cast lovely shadows on the snow. As I shovel, I delight in the wonderful garden memories. Although my fingers and toes may be frozen, my heart is always warmed by the sweet shadows reflected on the sparkling snow. 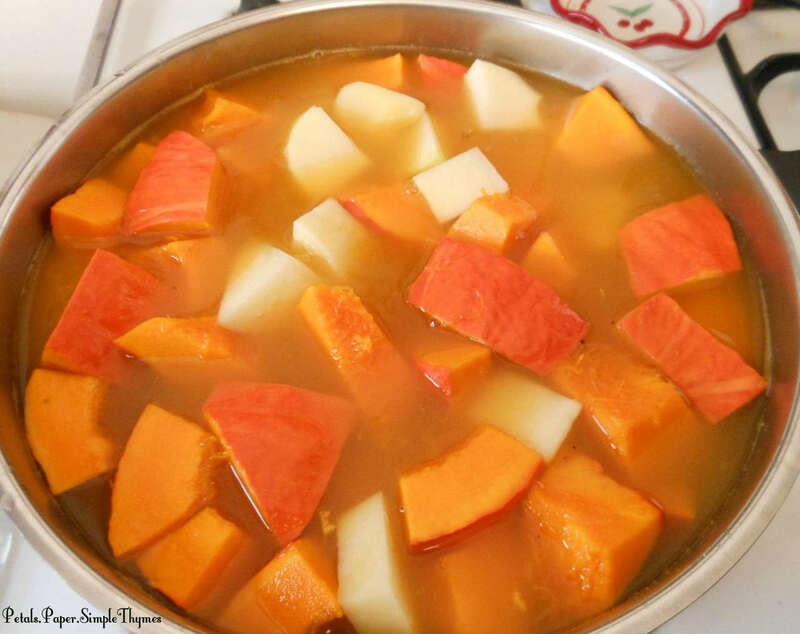 We are expecting a chilling Halloween, in more ways than one! Brave trick-or-treaters will really have to bundle up this year. Costumes based on the movie ‘Frozen’ will match our Halloween chill. With warnings of a killing frost on Friday evening, it’s time to gather the flowers, filling vases with the last colorful blossoms of the season. I’m looking forward to surprising our neighbors with bright bouquets! 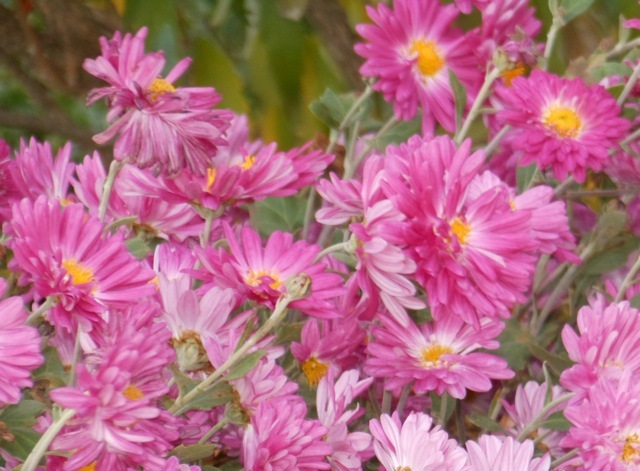 Many years, we still have Chrysanthemums blooming in the garden to create a lovely Thanksgiving centerpiece. Any time you need a little sunshine, please stop by to visit our garden! 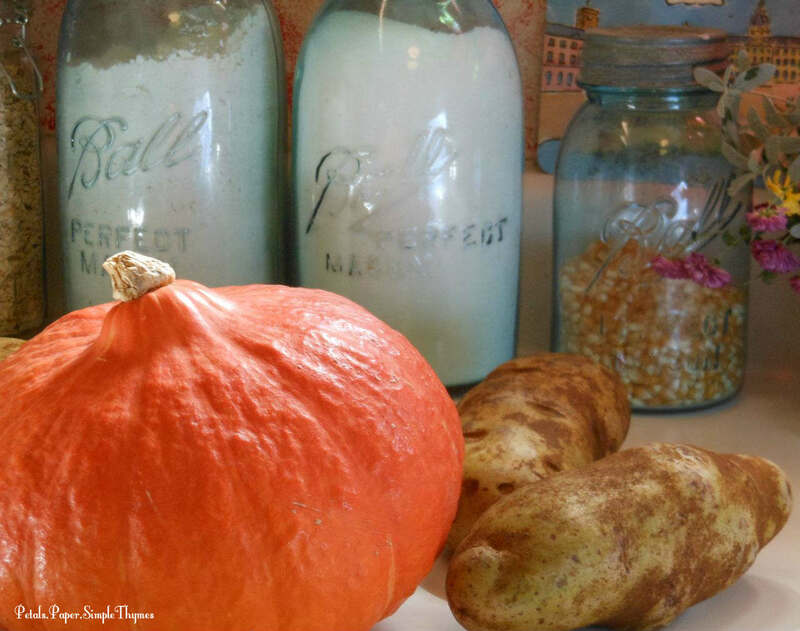 It’s so easy to revisit all of this year’s garden memories. It might be lovely to brew a cup of tea. Then just click on the dark stripe on the far left side of the screen. Under ‘Categories,’ click on Petals. Take a leisurely Springtime walk through the garden. 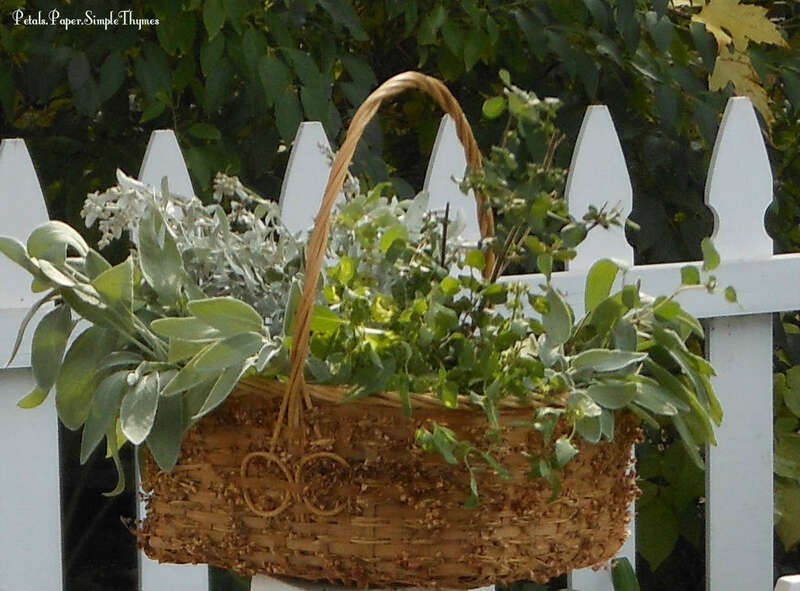 Enjoy the perennials and herbs throughout the summer months, and visit the garden in Autumn. 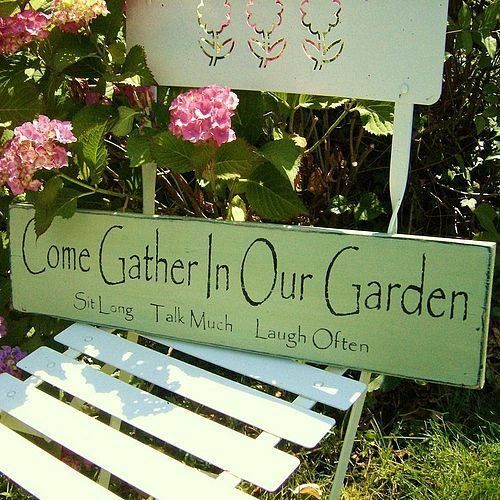 You might enjoy reading the sweet memories of our Friendship Garden and Herb Garden, too. Over the past few weeks, I have been busily setting up a Studio space for papercrafting. In anticipation of having a special place to be creative (and messy! 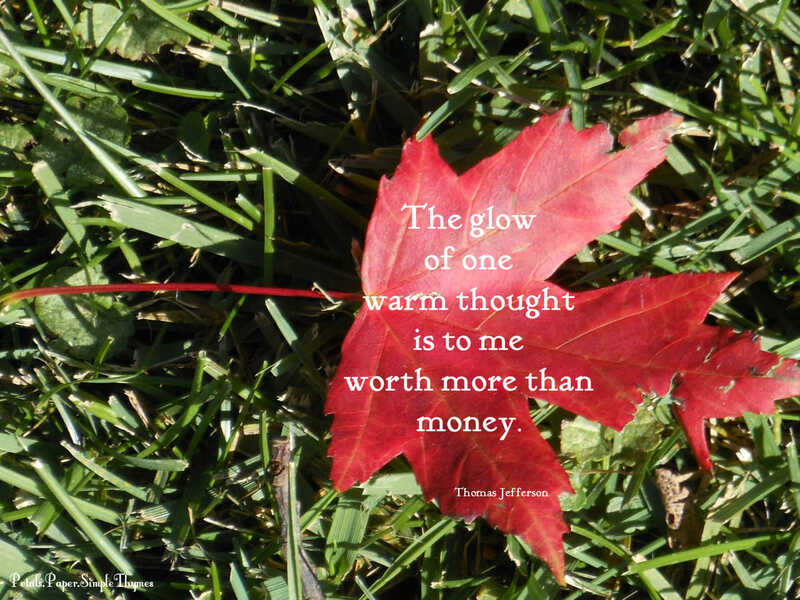 ), I have been finding much inspiration from some of my favorite crafters. I’d love to introduce you to someone very special ~ Sandy Allnock, founder of Operation Write Home. 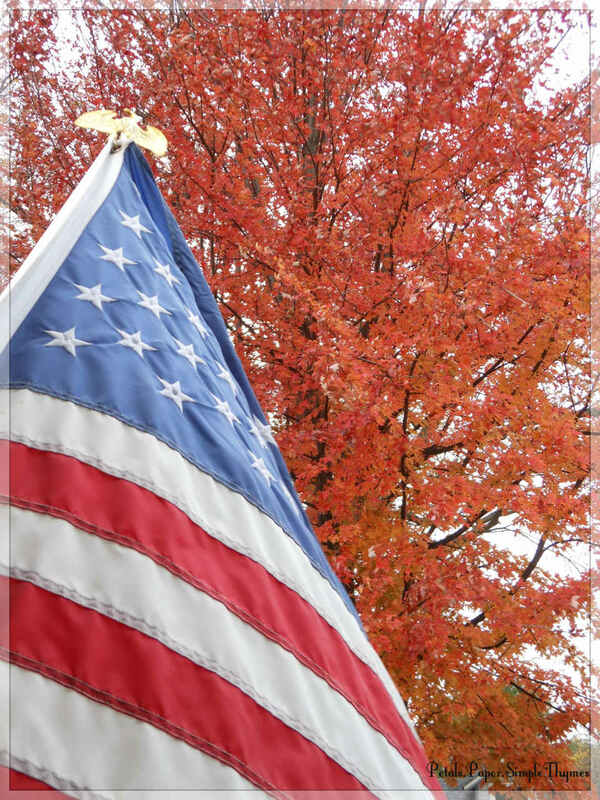 Sandy’s tireless efforts on behalf of our nation’s heroes really make a difference! I admire her creativity, talent, hard work, and dedication. 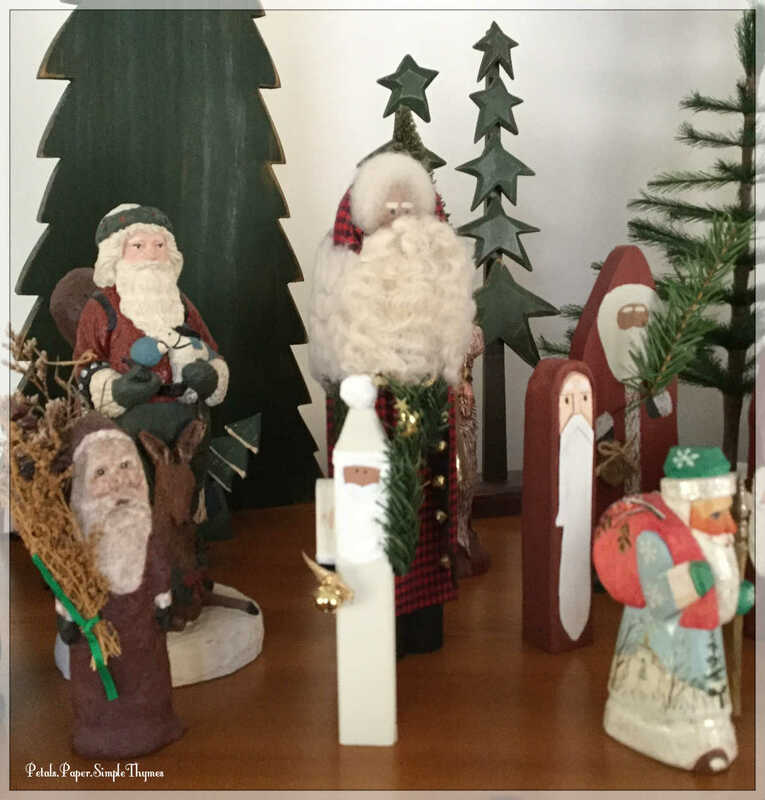 Sandy’s ‘Silverware Theory’ of craft room organization makes so much sense. 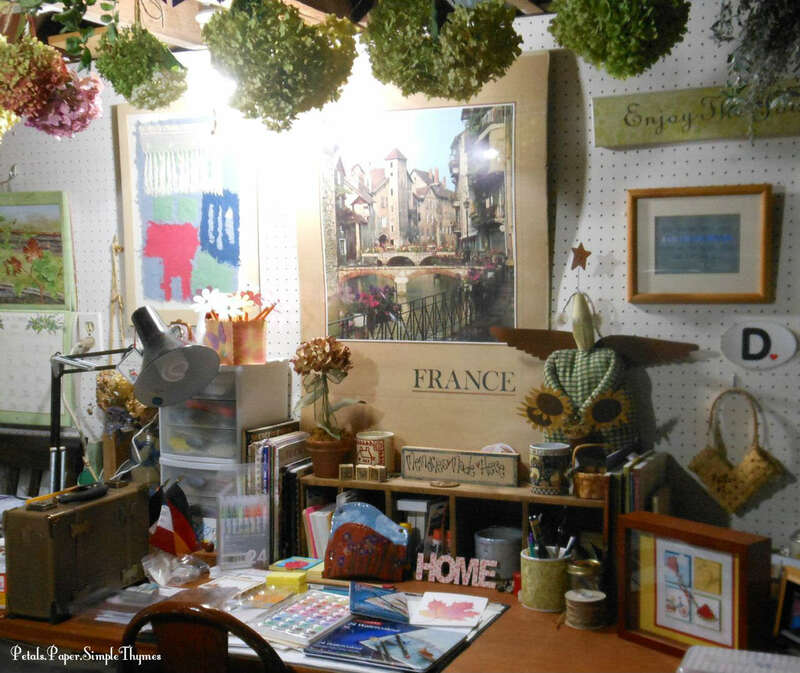 You might enjoy her video, showing how she organized her new craft room. I found wonderful inspiration at 15:36 in the video. Take a peek! Sandy keeps an ‘Inspiration Drawer’ near her desk. 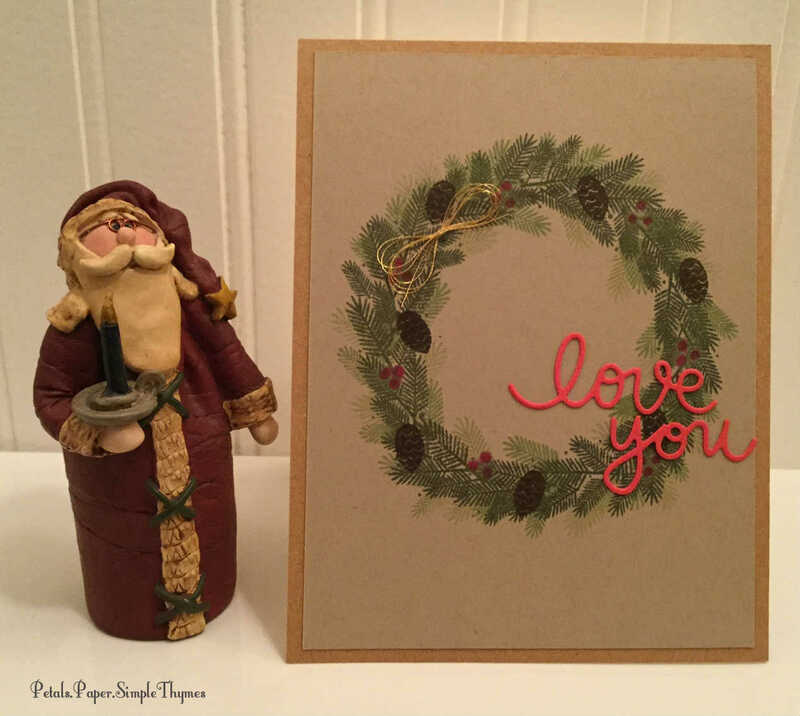 It is filled with her newest tools and supplies for cardmaking. What a great idea! Inspired by Sandy, I started filling an ‘Inspiration Box’ when I began dreaming of a Studio space of my own. The contents of my Inspiration Box are always changing. Whenever I bring home new cardmaking supplies or tools, they go directly into my Inspiration Box. Each time I begin a new project, I take a peek in my Inspiration Box and try to use something new! It’s fun to learn new skills by trying new things! New cardmaking supplies and tools find a special home in my Inspiration Box until they are used on a project. After I use the stamps, embellishments, or tools once or twice, then they move to the storage drawers in my Studio. Hopefully, I will remember that I have them because I have already used them! I intentionally chose a small, photo storage box to use as my Inspiration Box. As it fills up, it is a great reminder to use what I already have before buying more supplies. 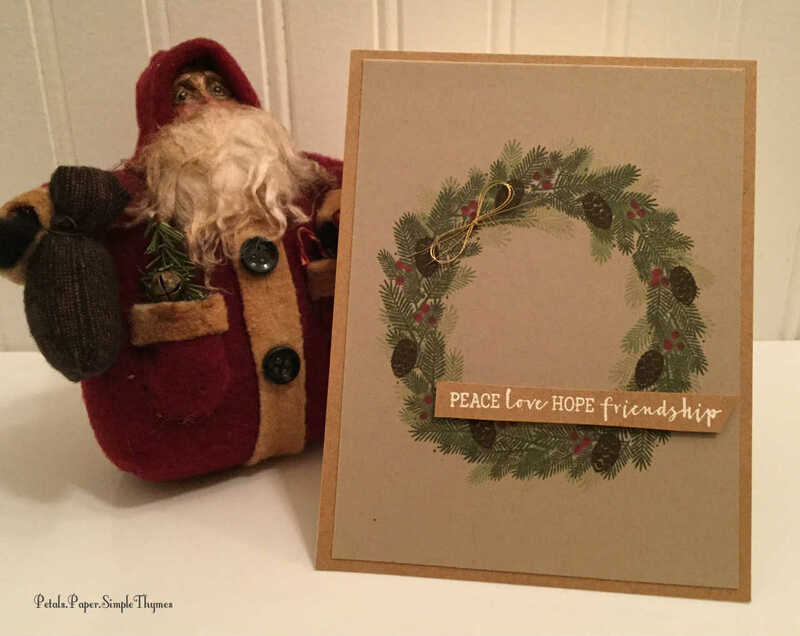 Inspiration + Motivation = a very happy, contented cardmaker! If I came home from the craft store and immediately put the new supplies into the drawers, I would forget that I bought them. Sandy’s idea works like magic! At the moment, my Inspiration Box is filling up. 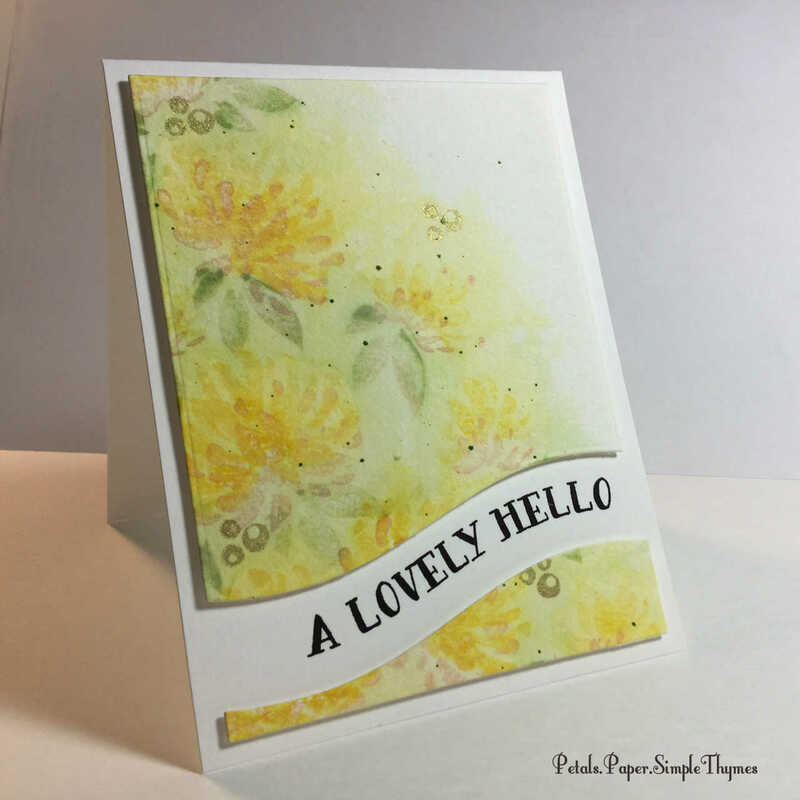 The next time I go downstairs to the Studio to make cards, it will be fun to be creative with the Wplus9 ‘Hand Lettered Hello’ stamps and dies, the lovely sentiments in the Power Poppy ‘Renewal’ stamp set, or the Sizzix ‘Filmstrip’ die. Oh, the ideas are already flowing!! I always think of Sandy when I open my Inspiration Box. I’m so grateful for this small idea that makes so much sense! An Inspiration Box, Drawer, or Basket might help so many different crafters ~ holding fabric and accessories for sewing, beads for jewelry making,… It’s a lovely reminder to use what you have! Inspiration is blooming everywhere around us! 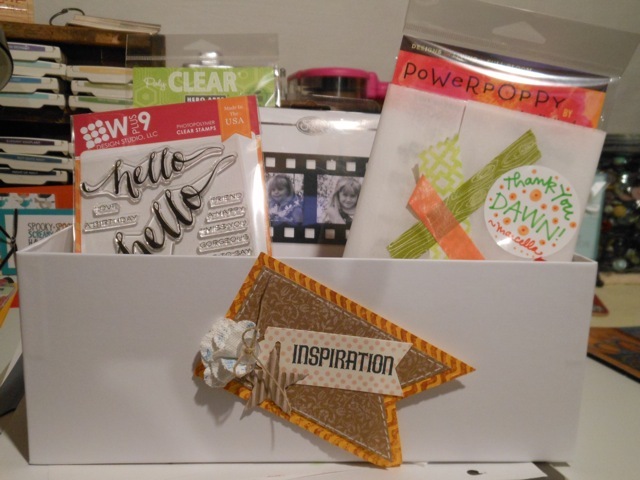 P. S. Can you think of a way to adapt the Inspiration Box idea to help motivate or inspire one of your creative passions? 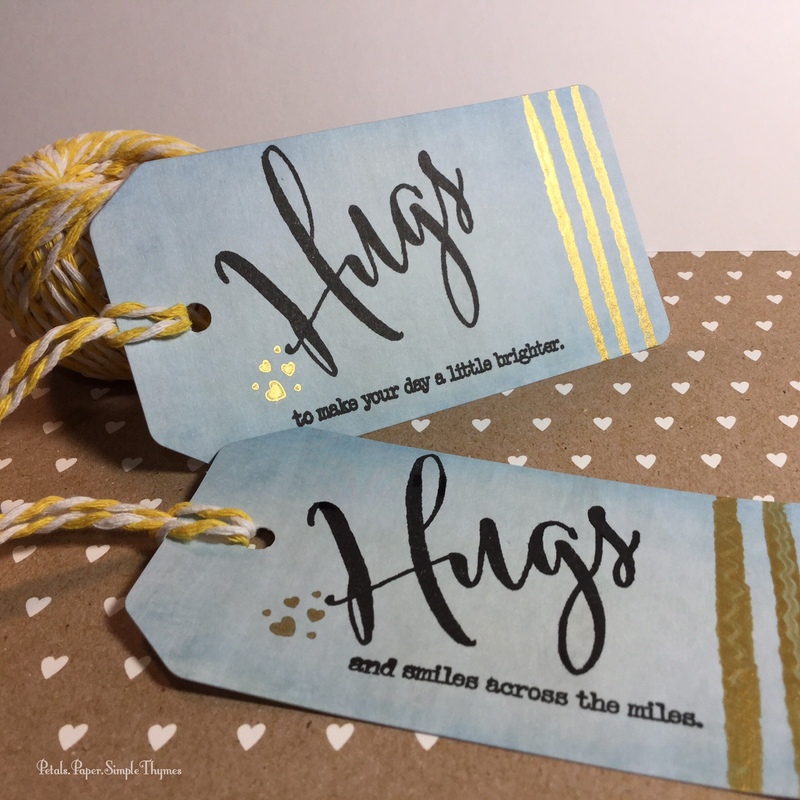 Just imagine the happy sounds of laughter and encouraging words coming from a friendly group of women gathered around long tables for a paper crafting workshop! It was a wonderful way to spend last Sunday afternoon. We all enjoyed one another’s company as we carefully cut, stamped, and embellished bits of red, white, and blue paper. 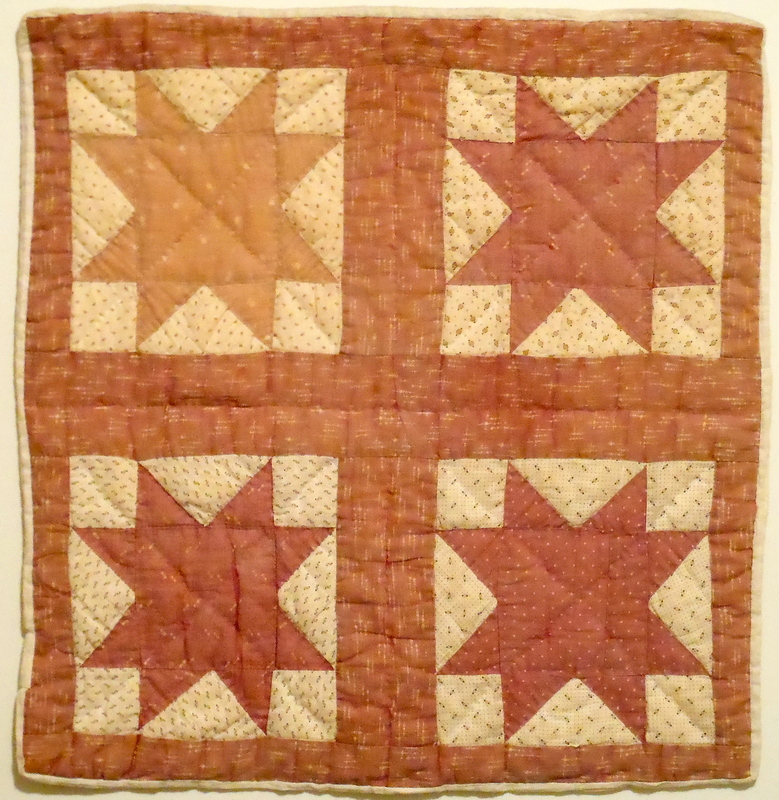 As we worked on our projects together, my thoughts drifted back to the pioneer days and good, old-fashioned quilting bees! 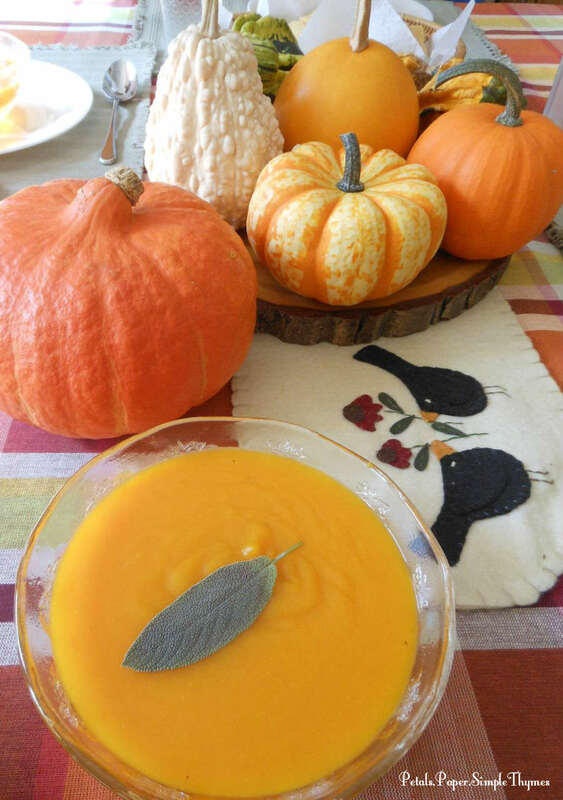 Those gatherings also brought together women who cherished spending creative time together, while busily stitching colorful quilts for their families to use and enjoy for years to come. P.S. 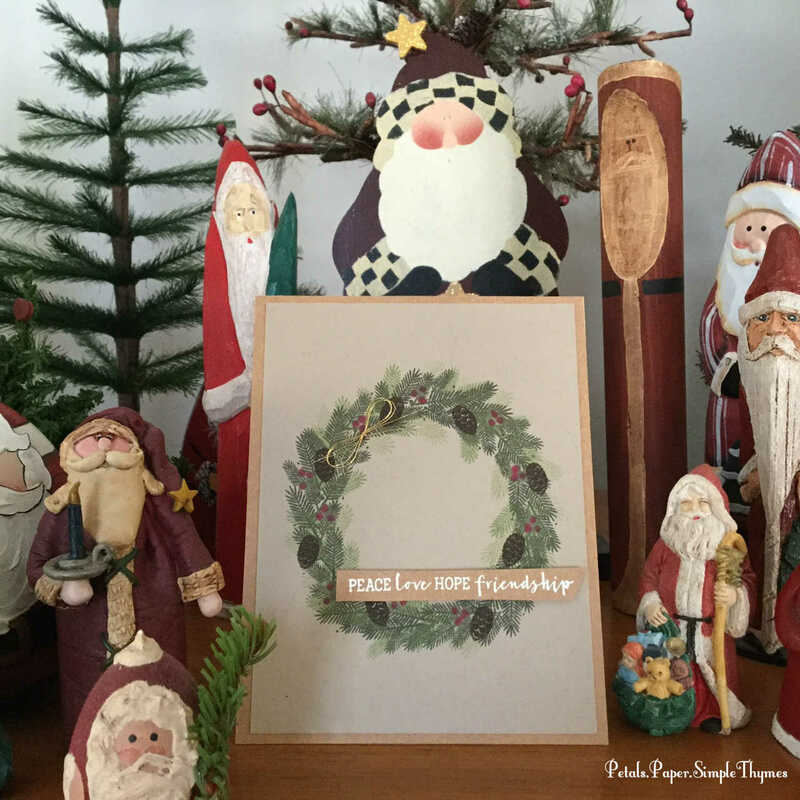 Do you enjoy card making, scrapbooking, or any other papercrafting activities with friends? 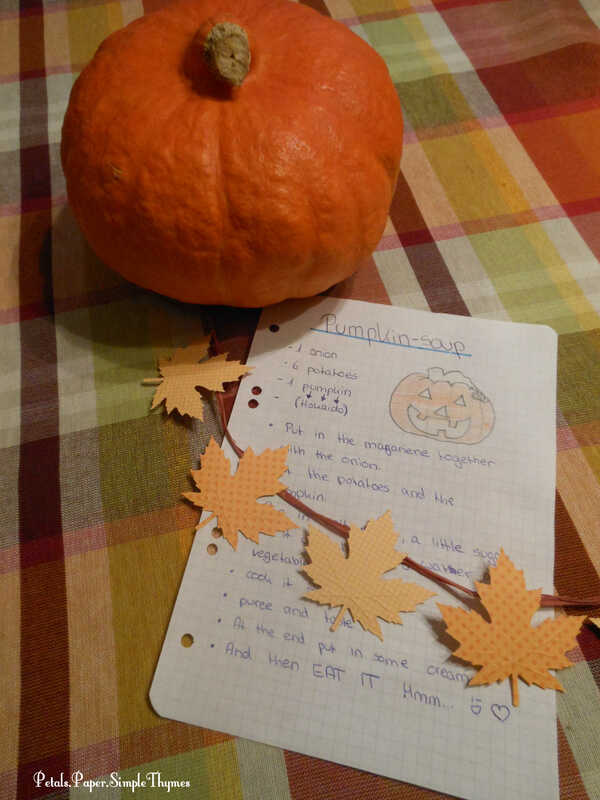 It was such fun to create this Americana project on a recent Sunday afternoon! 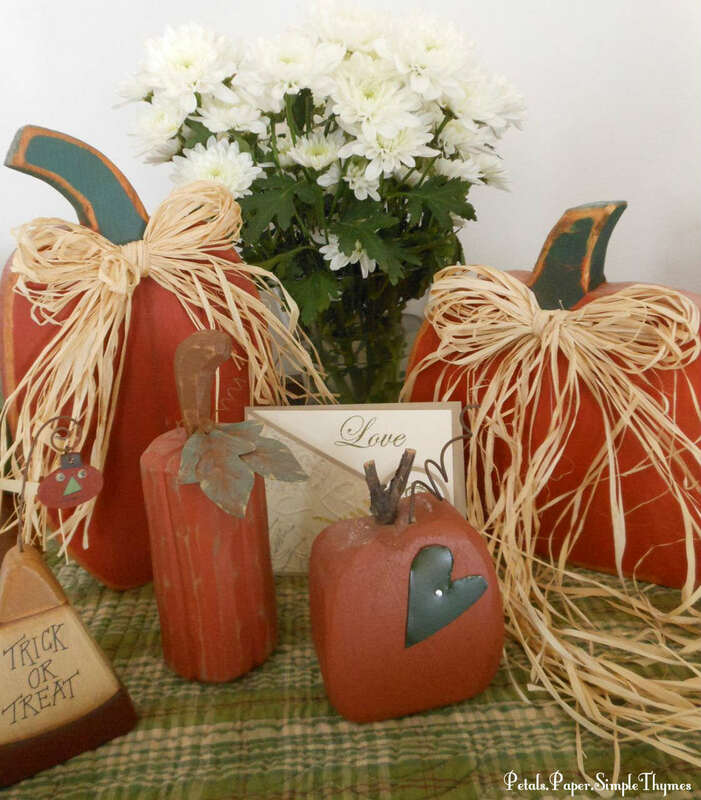 (Designed by Laura B., Studio1Stampers.com) All products by Stampin’ Up!